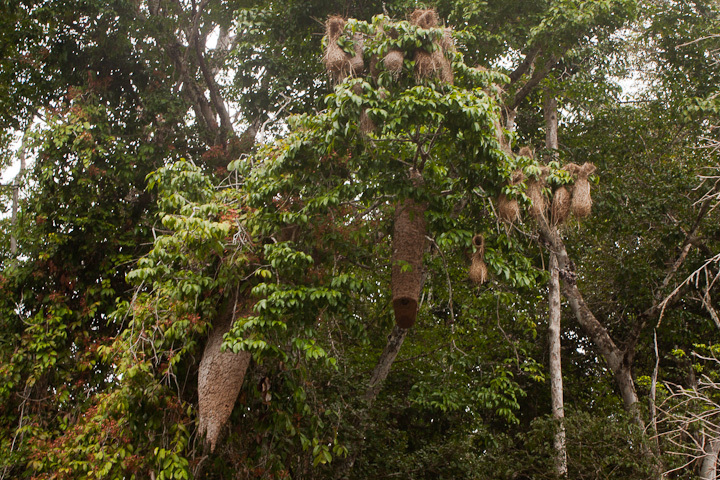 A large nest of Polybia liliacea. 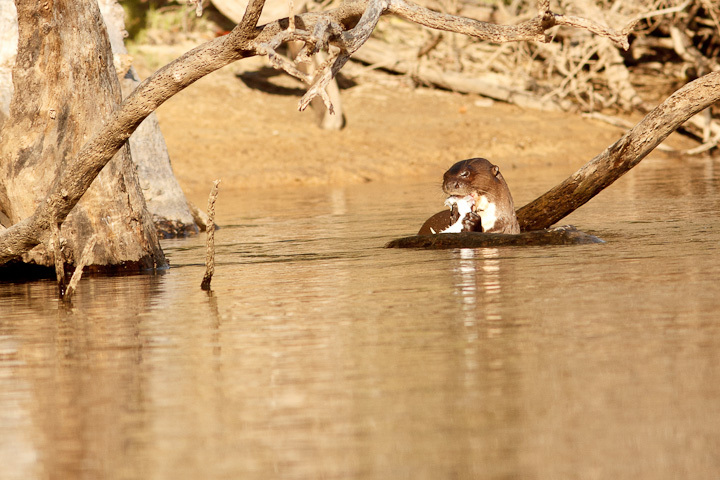 This is one you probably do not want to disturb! 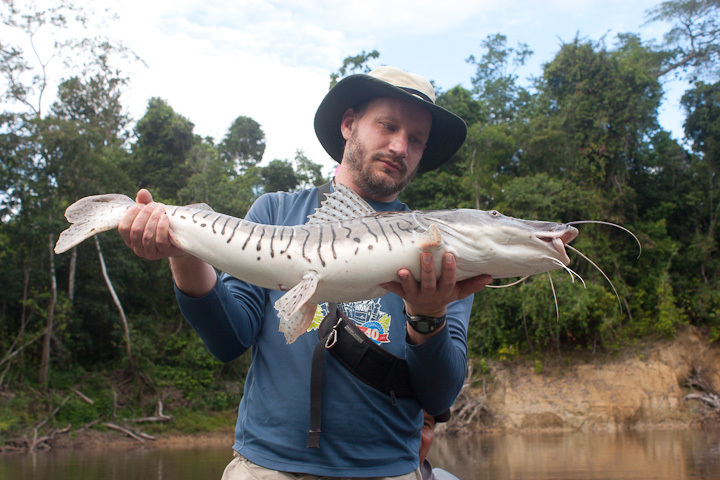 Compared to my time in French Guiana, I found that travel by river offers a much greater volume of observations than walking in the forest. 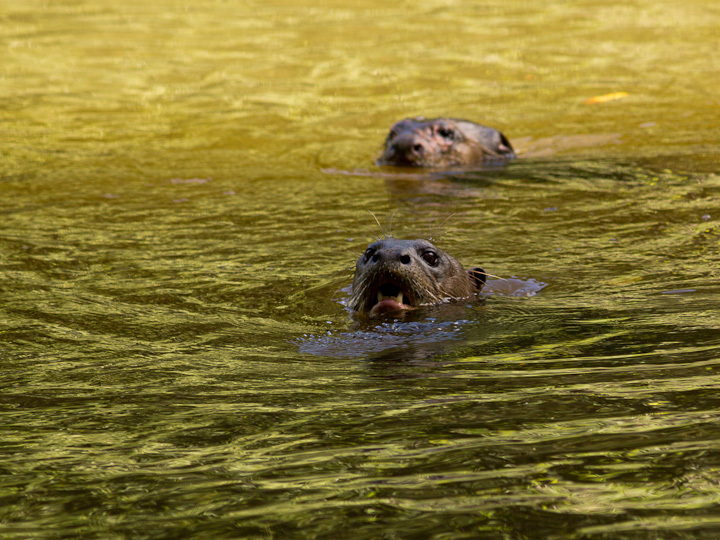 When I was in French Guiana travelling trails on foot, I was lucky to encounter one example of a particular habitat in a day, but on the boat I could see the same type of habitat many times over. Needless to say, this was a great natural history lesson in the making. One of the particular habitats we saw a lot of was the meanders of the river, where the river loops and bends around long curves. These bends form spontaneously via the action of vortices along curves in the river, and on the inside of each curve there is high deposition of silt (on the outside is a high level of erosion). This is the process by which oxbow lakes are formed. 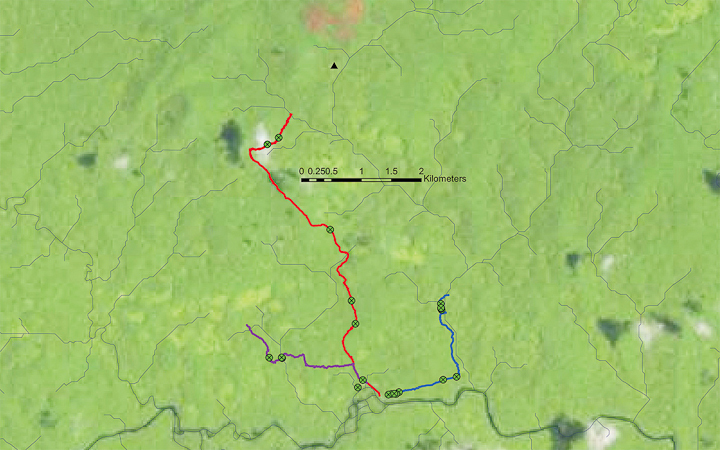 The result is that the inside curve is an area that was formerly river-scoured, but now has abundant new soil. 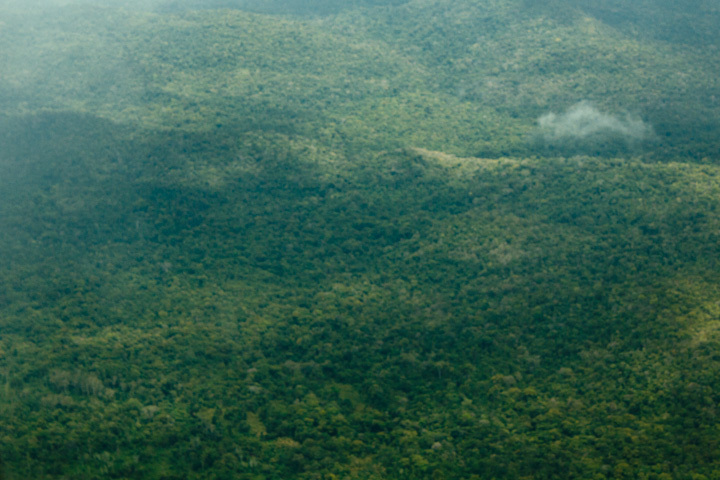 Within these areas are a sparser forest, dominated by a few fast-growing tree species such as Cecropia and Triplaris (called “Long John” in Guiana). These are habitats that harbor a beautiful example of tropical symbiosis. 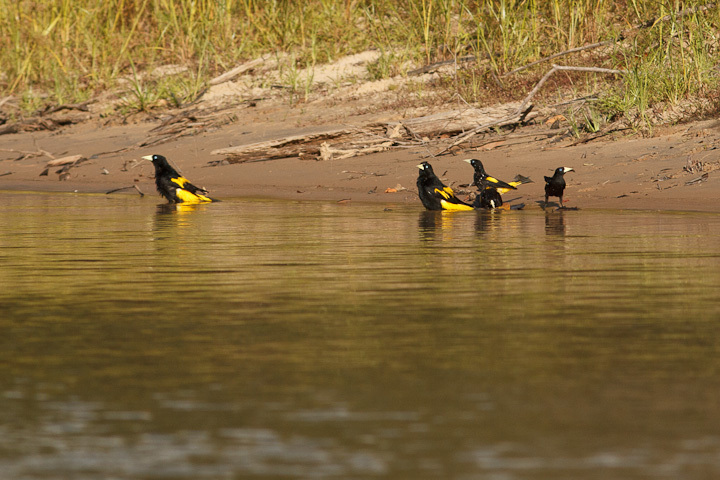 Yellow-rumped Caciques (Cacicus cela) bathing together in the early evening. 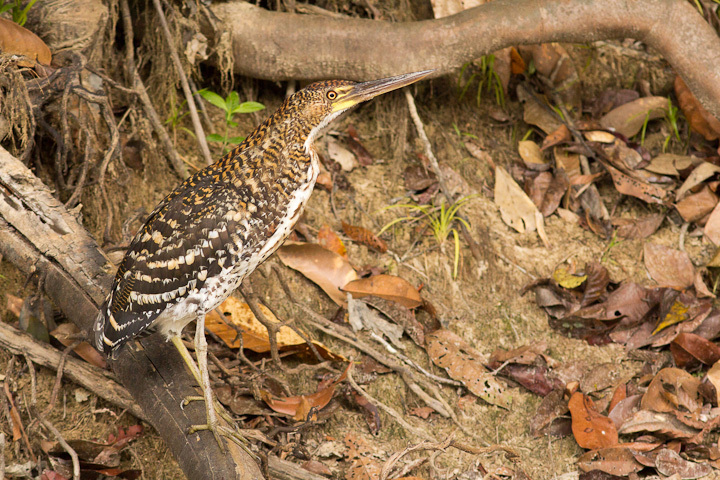 These are highly social birds with colonial nesting. 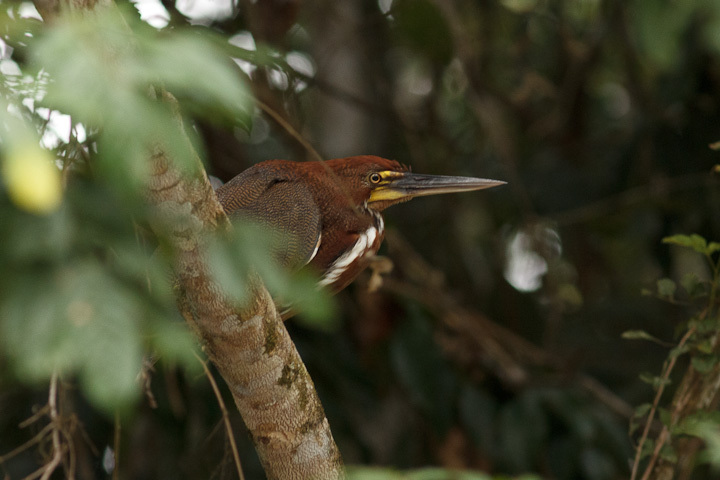 One of the first things that I noticed about these meander forests is that they more often than not contained a large colony of nesting Icterid birds, either Green Oropendolas, or Red-rumped or Yellow-rumped Caciques, with the latter being the most common. 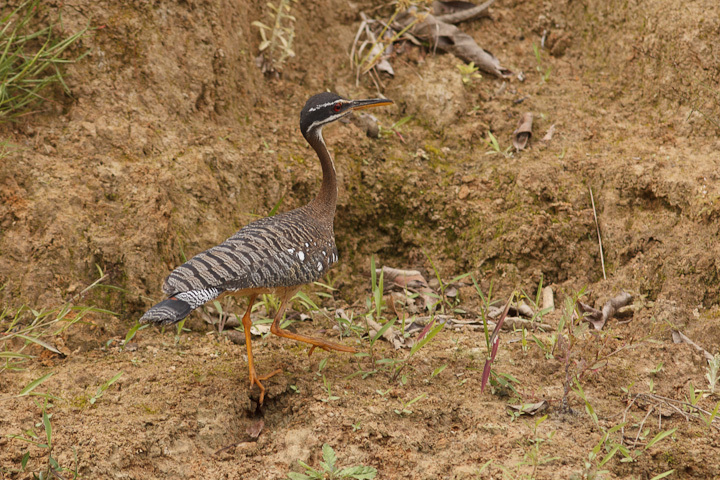 All of these birds are known to preferentially nest in association with large, aggressive wasp species, such as Polybia rejecta and Polybia liliacea. This is thought to benefit the birds in two ways. 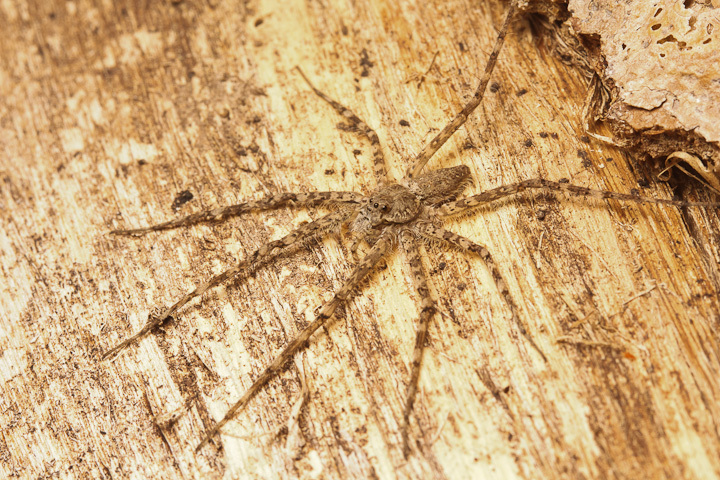 Number one is that the wasps can help dissuade nest predators, such as monkeys. 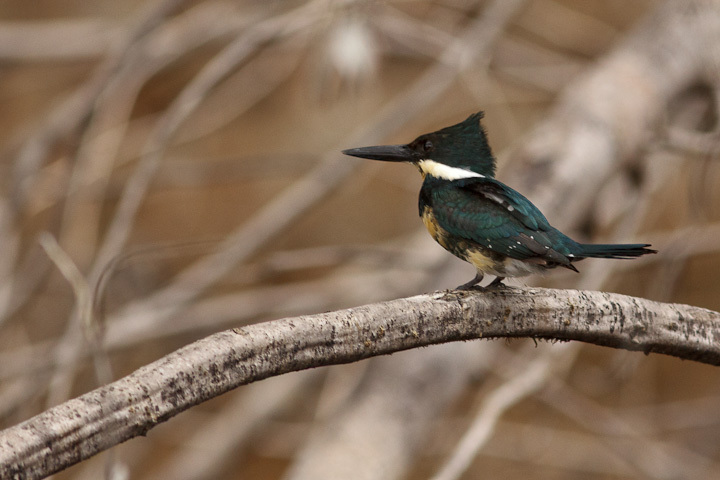 Number two is that populations of predaceous wasps may reduce the parasite burden (particularly parasitic Philornis flies) that the nestlings endure. A colony of Cacicus cela nesting in association with Polybia liliacea. We also saw them with Polybia rejecta and Epipona spp. wasps. In turn, the wasps nest in these particular trees for a reason. 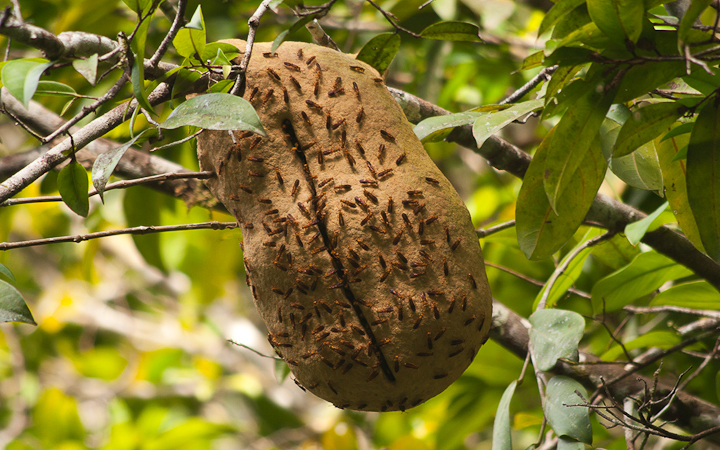 They nest in trees that are occupied by Azteca ants, a type of dolichoderine ant that basically owns the tree, with large carton nests containing perhaps millions of moderately small workers and hundreds of queens. 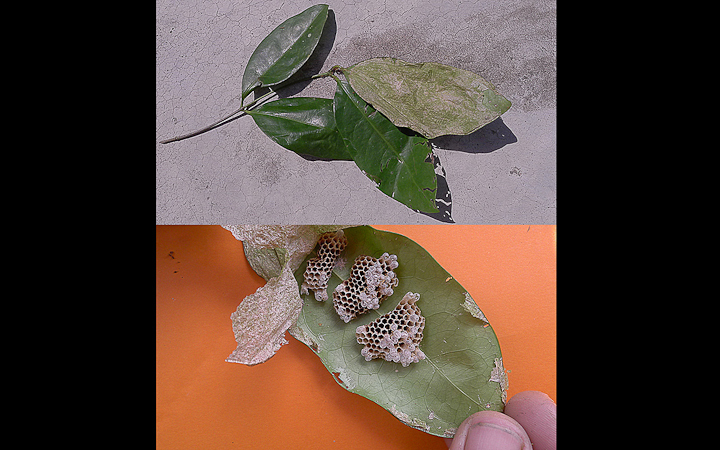 The wasps nest here because the Azteca repel one of the wasps’ worst enemies: army ants. 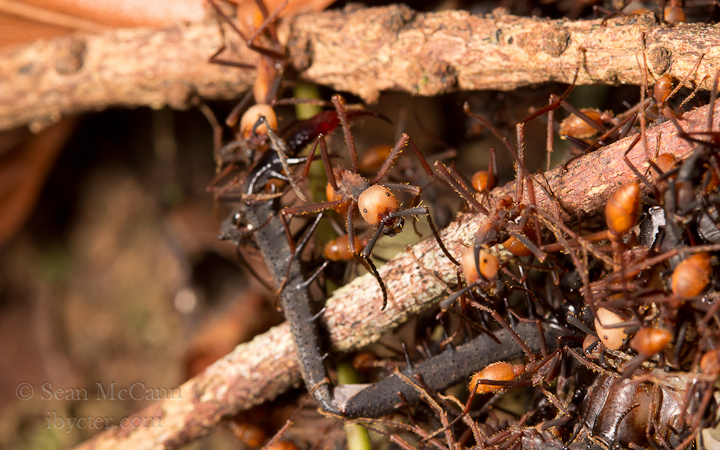 Although army ants (Eciton burchellii and Eciton hamatum) vastly outweigh the Azteca individually, the Azteca, by virtue of their overwhelming numbers, can keep army ant columns from advancing quickly up the tree (Servigne 2003). As army ants are all about blitzkrieg, and quickly stripping an area of profitable prey (Kaspari et al. 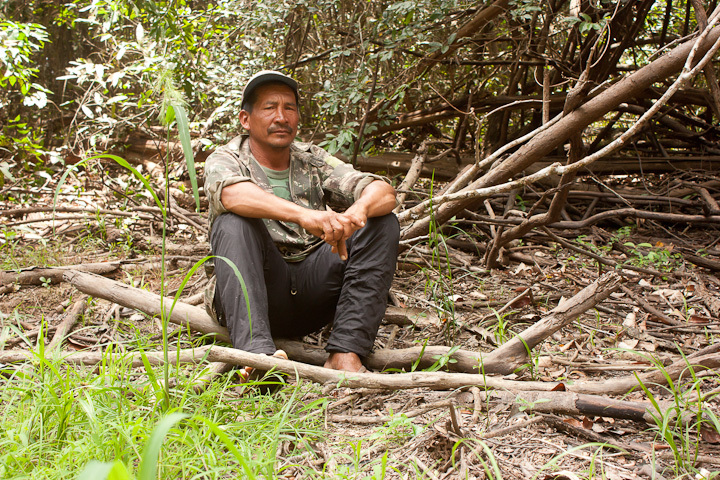 2011), they have learned to avoid the Azteca trees, which would take a protracted guerilla campaign to overcome. 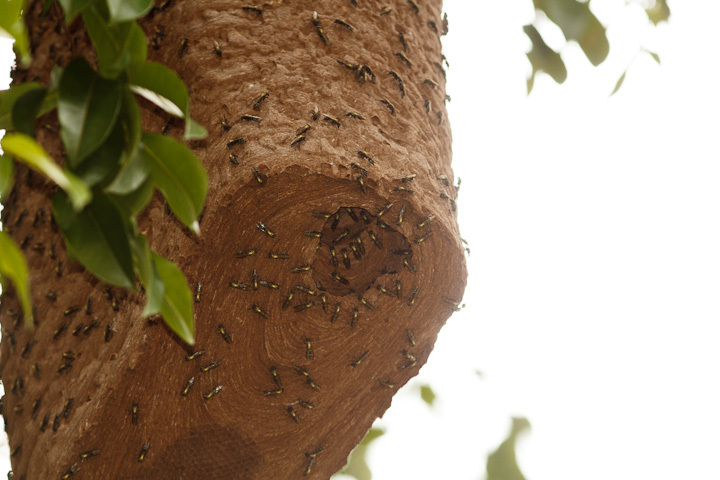 It has been recently shown that the wasps in turn benefit the ants, helping to repel some of their predators, such as woodpeckers (Le Guen et al. 2015)! Nesting association between Azteca (left), Polybia (centre) and Cacicus (upper right). In examining again and again the morphology and placement of the nests in these associations, I was struck by a thought: perhaps the birds are also a net benefit to the wasps and the ants as well! 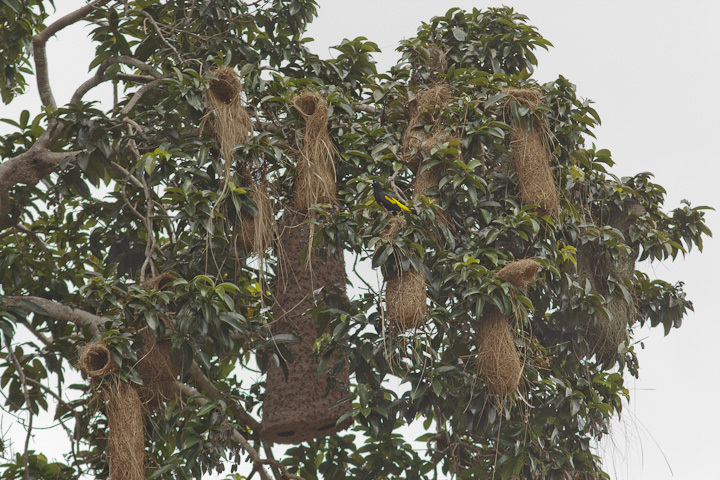 I know from my research how formidable Red-throated Caracaras are in destroying wasp nests….What if these large numbers of nesting caciques help protect the wasps from the caracaras? 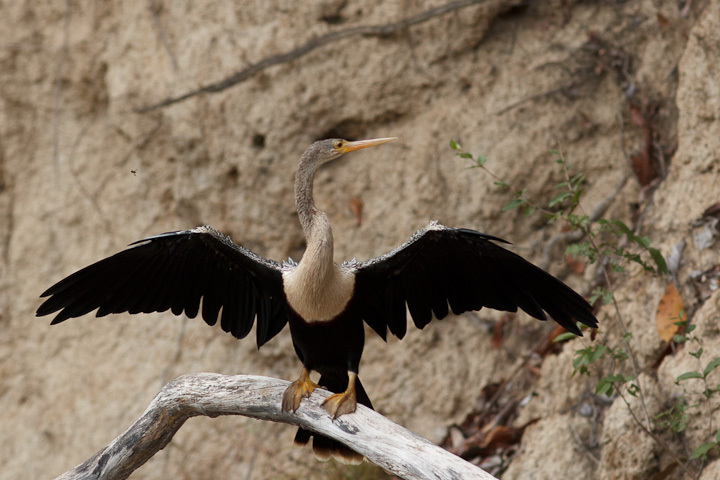 It is not so outlandish a hypothesis, as the large nesting aggregations of caciques have been shown to mob bird nest predators such as monkeys and Black Caracaras and drive them away (Robinson 1985). 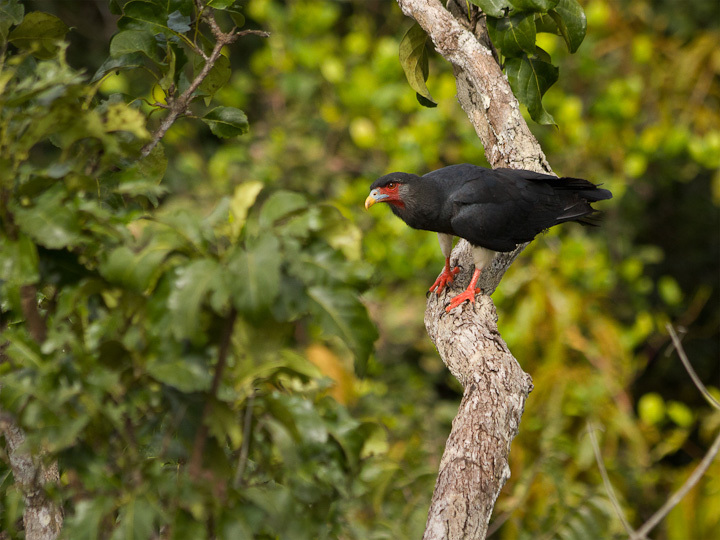 Perhaps the Red-throated Caracaras may be driven away as well by large numbers of defensive caciques. 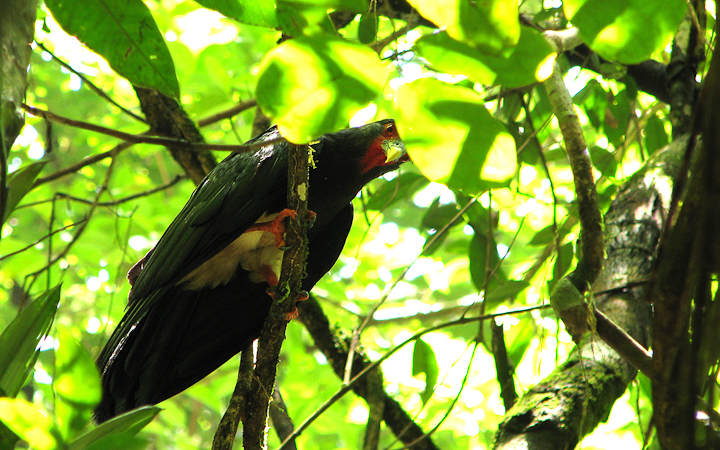 Could wasps derive protection from Red-throated Caracaras from cacique or oropendola colonies? I was amazed by the numbers of large wasp nests we encountered at these sites, in stark contrast to the relatively low numbers I encounter in normal forests. It is not just the presence of ants which is keeping these nests safe, as Azteca occur in large numbers all over the forests. I think something else is going on here to help protect these wasp nests, and I bet it is the birds. Anyway, I would love to go and study this sometime, but this story just reinforces to me the inspiration that I only get by going to the field. 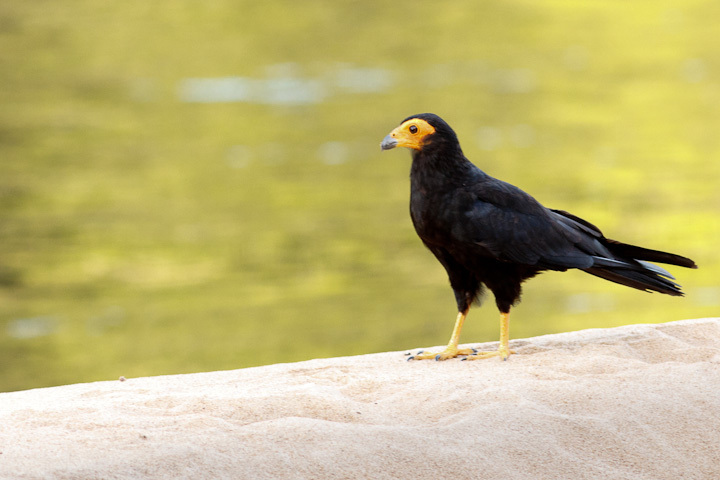 The Black Caracara, a known predator of cacique nests, is sometimes mobbed and driven away by Yellow-rumped Caciques. LE GUEN, R., CORBARA, B., ROSSI, V., AZÉMAR, F., and DEJEAN, A. 2015. Reciprocal protection from natural enemies in an ant-wasp association. C. R. Biol. MCCANN, S., MOERI, O., JONES, T., SCOTT, C., KHASKIN, G., GRIES, R., O’DONNELL, S., and GRIES, G. 2013. 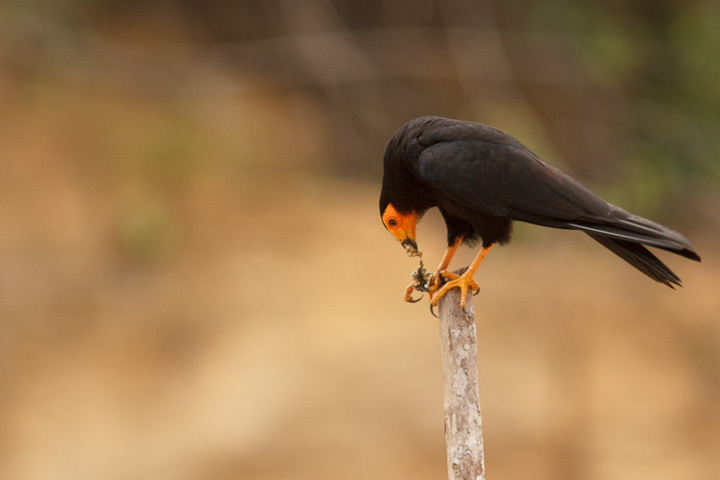 Strike fast, strike hard: the Red-throated Caracara exploits absconding behavior of social wasps during nest predation. PLOS One 8:e84114. ROBINSON, S. S. K. 1985. 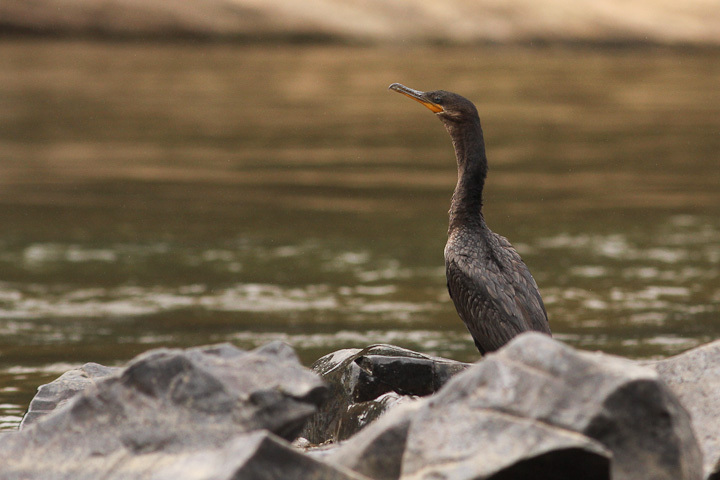 Coloniality in the Yellow-rumped Cacique as a defense against nest predators. Auk 102:506–519. SERVIGNE, P. 2003. L’association entre la fourmi Azteca chartifex Forel (Formicidae, Dolichoderinae) et la guepe Polybia rejecta (Fab.) (Vespidae, Polistinae) en Guyane Française. Universite Paris-Nord. 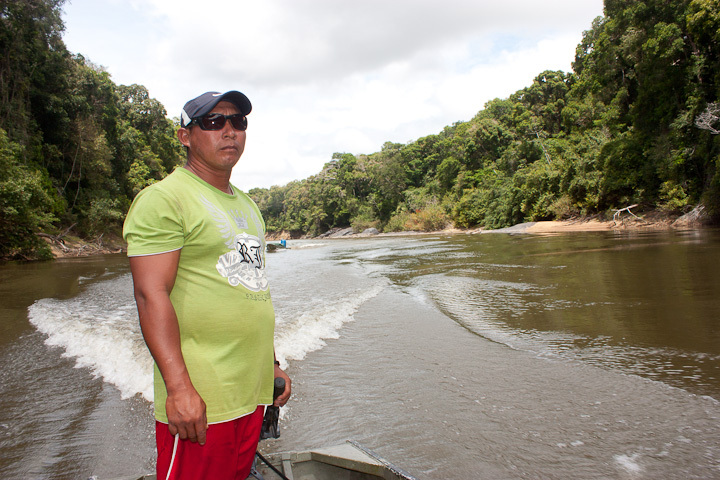 For the journey up the Rewa river, we were to travel into the forest by boat. From Georgetown, that involved a flight to the interior of the country. 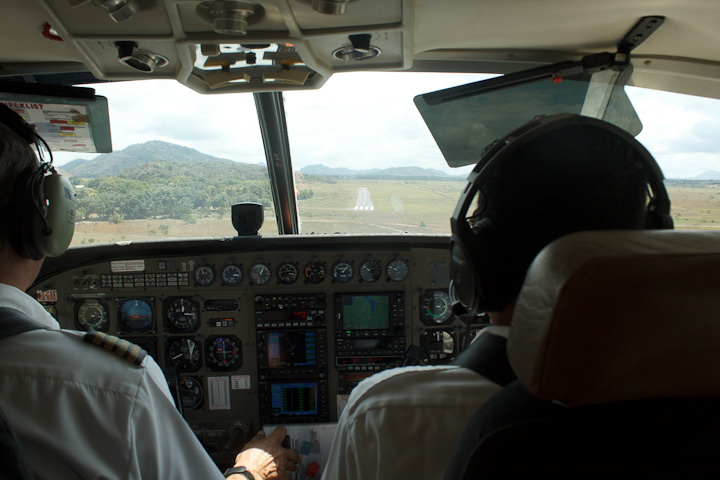 These flights leave from Ogle, a smaller airport on the outskirts of Georgetown. 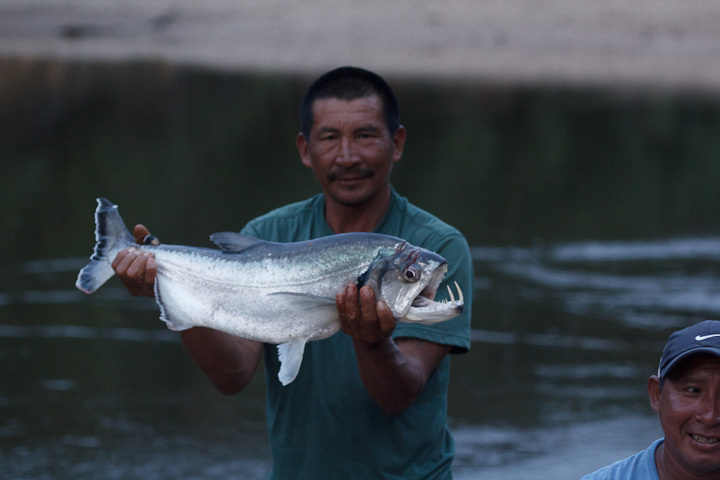 Our destination was Annai, a large Macushi village on the edge of the Rupununi Savanna, and close to our river journey start on the Rupununi river. At Ogle is where we saw our first caracara! 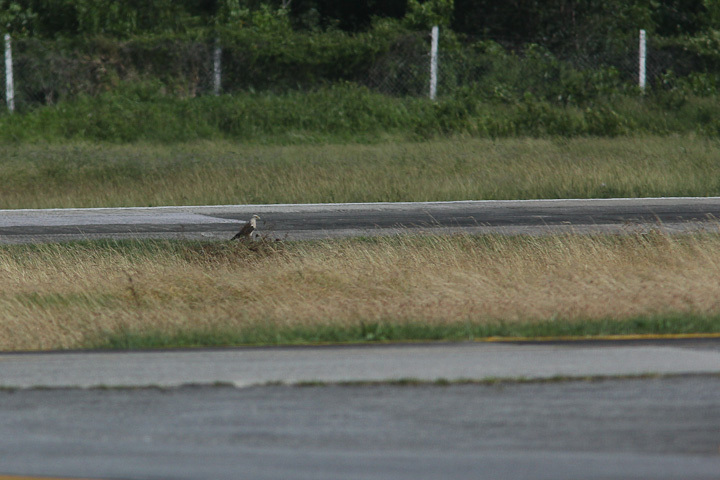 In the distance along the runway, a Yellow-headed Caracara (Milvago chimachima) forages in the grass. 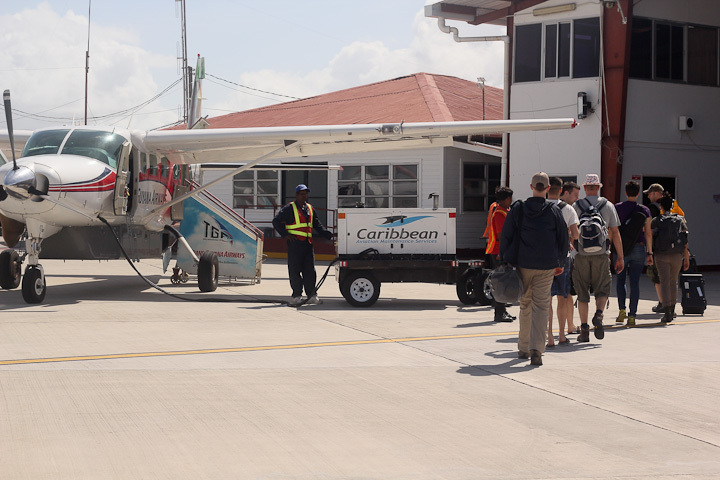 Boarding our flight to Annai on a Cessna 208 Grand Caravan operated by Trans Guyana Airways. 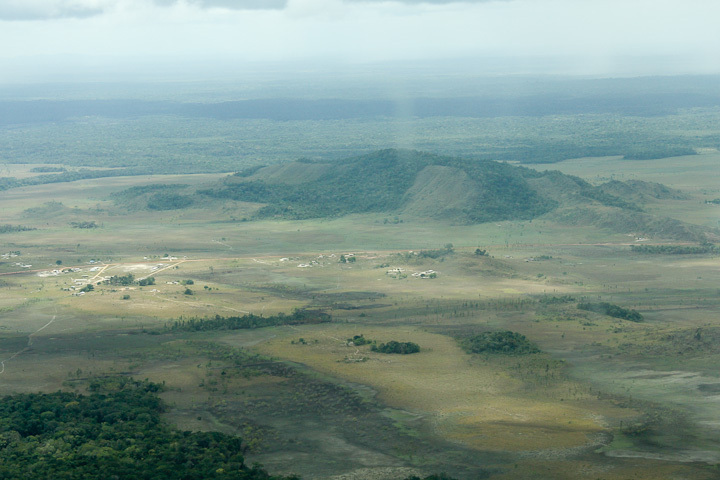 A high view of the dry season rainforests along the Essequibo river. 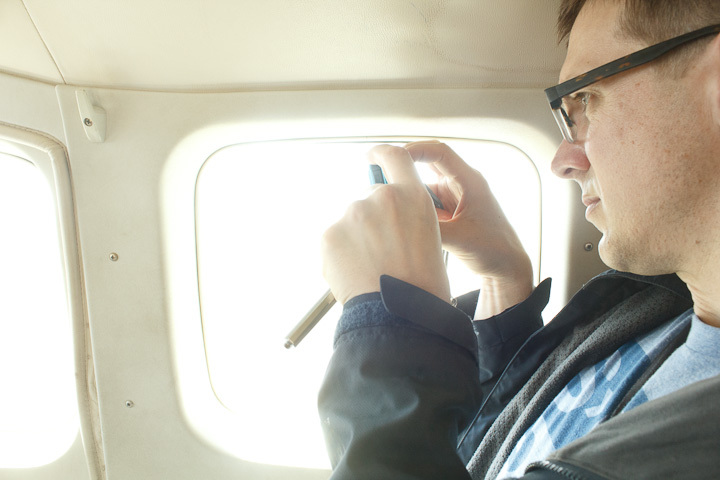 Jonathan takes pictures from the plane. 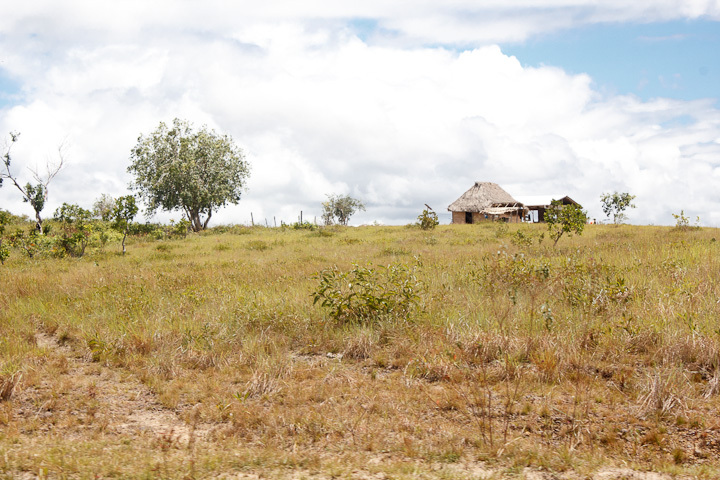 The village of Annai, on the edge of the Rupununi Savannah. 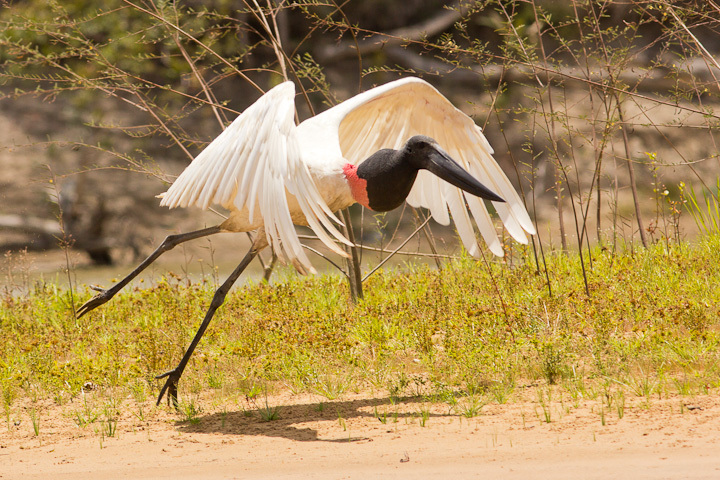 Coming in for a landing at the airstrip in Annai. 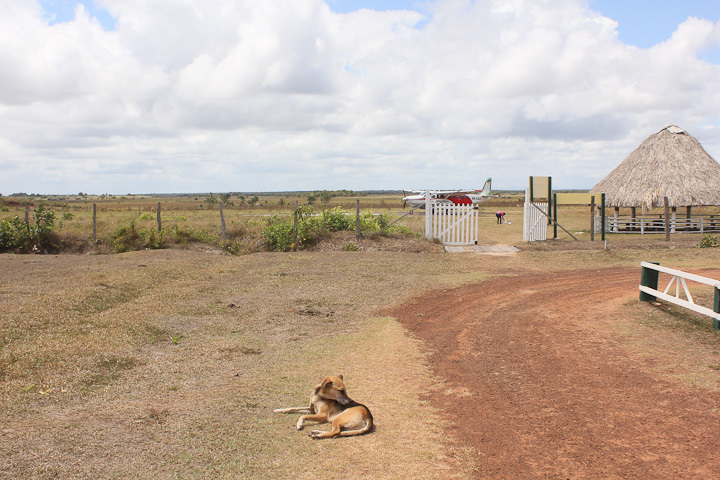 Leaving our plane behind, with the Rupununi Savannah stretching off in the distance. 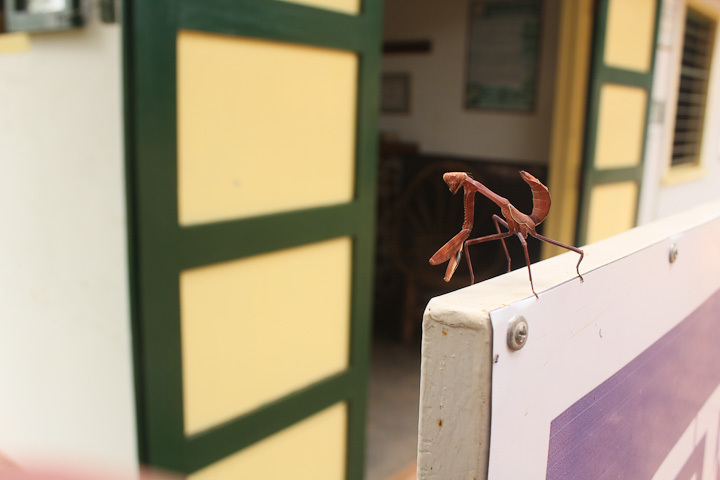 The official greeting mantis in Annai. In the hinterlands, greeting mantises are often late-instar nymphs. 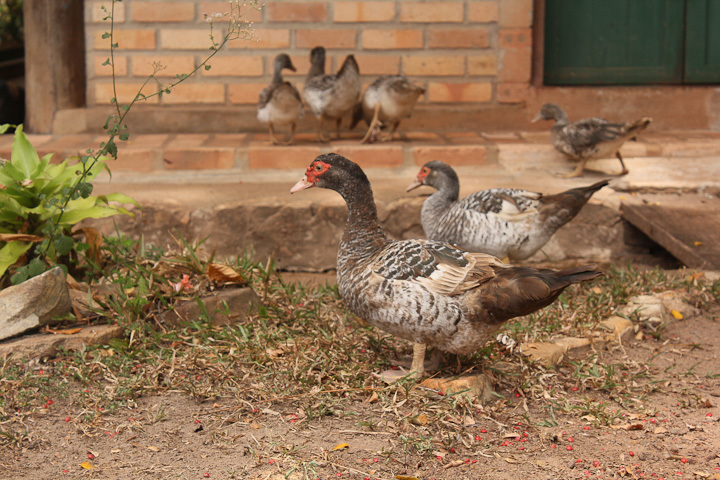 Domesticated Muscovy Ducks. 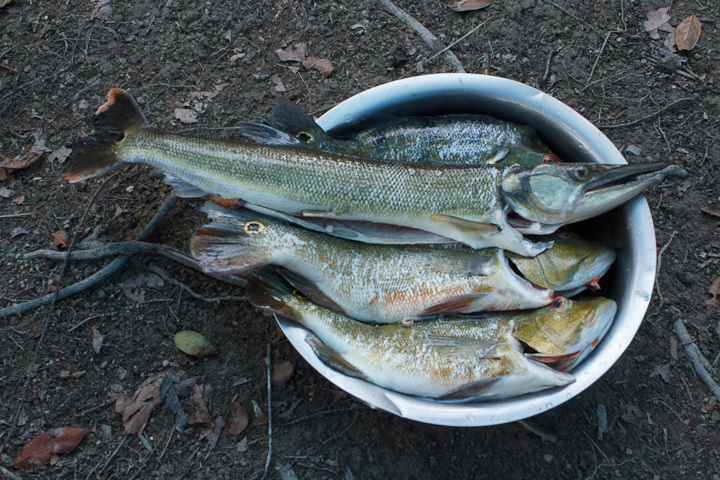 The wild ones may be found just down on the river. The dry season savannah is quite parched-looking, but in the wet season much of the area around Annai is actually swampy and criscrossed by streams. 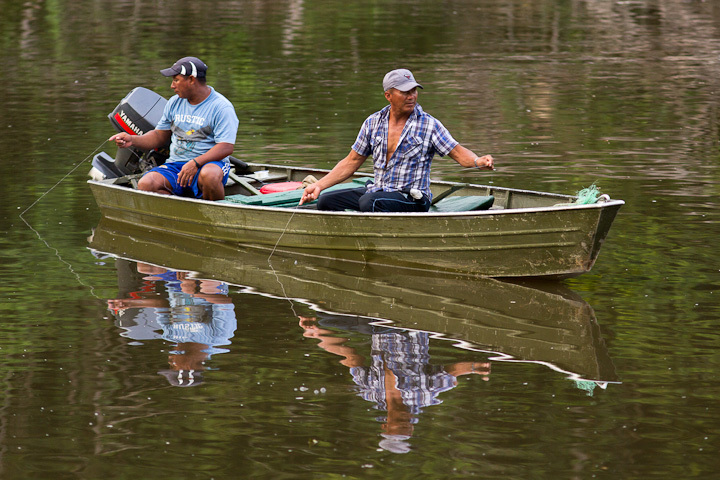 Here we meet with the owner of the boats we will be travelling in, Ashley Holland, owner of the Rupununi River Drifters ecotourism company based in Yupukari. Our travelling companions and guides. 1: Rambo, a somewhat quiet guy who has an excellent knowledge of the local bird fauna. 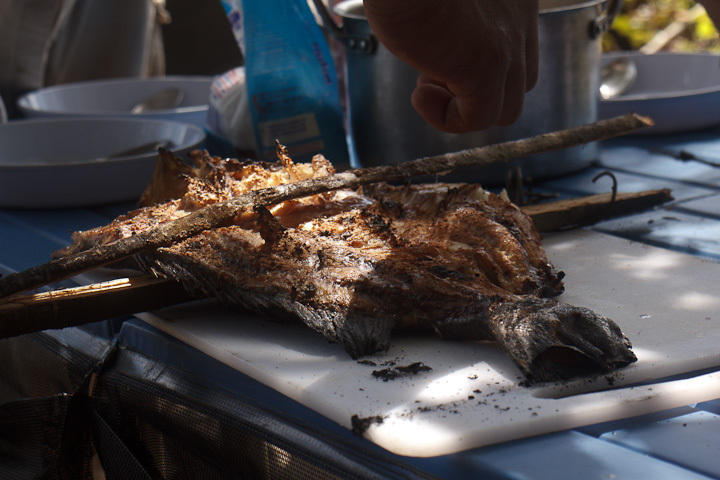 2: Josy, employed nominally as the cook, also extremely savvy in the forest creatures, particularly the black caiman. Affectionately known as the “YGP”or “young grandpa” as he has just become a grandfather! 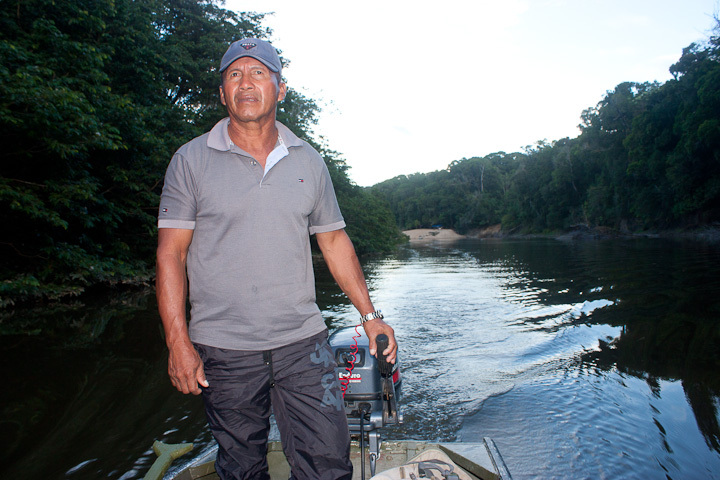 3: Brian, the senior boatman, a military veteran with amazing mental maps of the rivers at all levels. This is the guy you want navigating shallow twisting channels in the middle of the night based on dimly-seen landmarks. 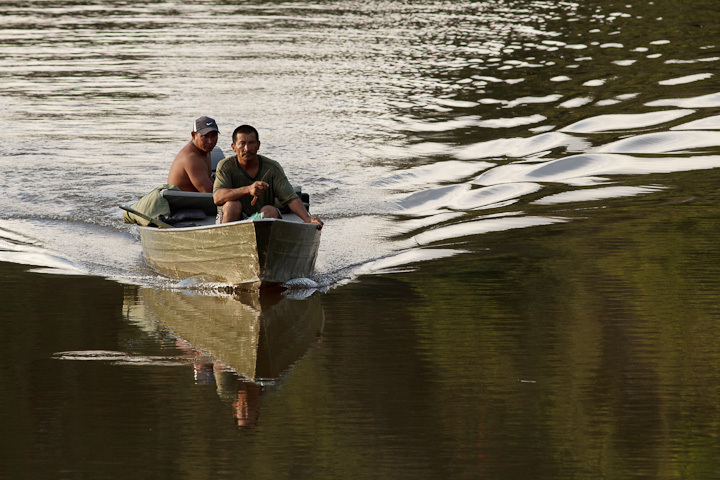 We launched onto the river without much fanfare, heading downstream to the mouth of the Rewa river. 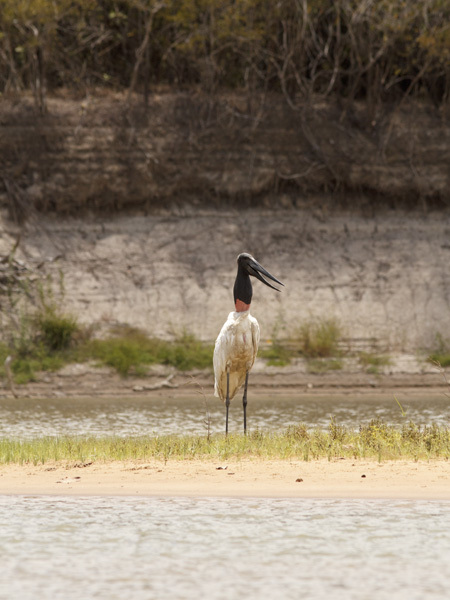 For some idea of how the river looks in teh dry season, consider this picture of a Jabiru stork. That high bank in the background would be completely inundated in the wet season. That is a difference of about 20 feet, and the river can rise that much in about a week. 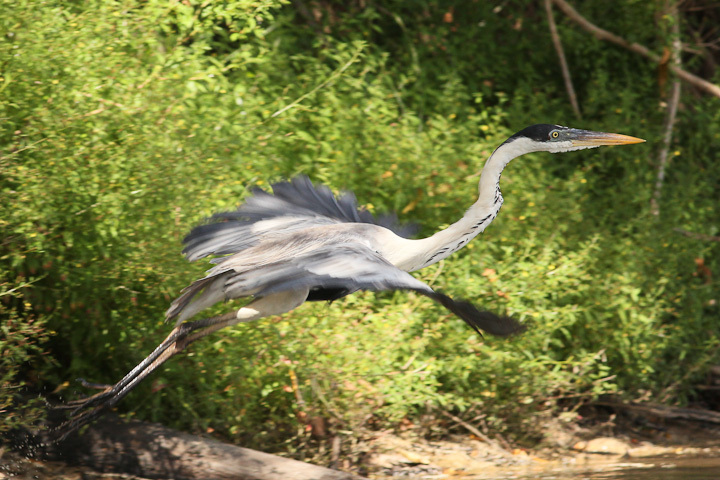 Now consider this other photo of the stork. Because it is cool. 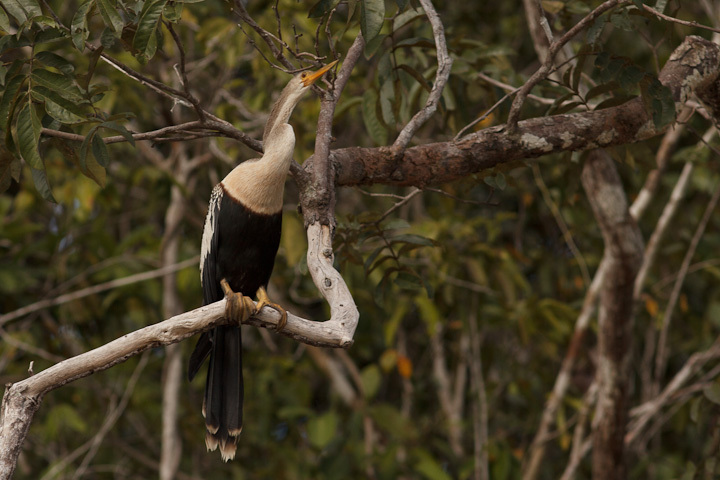 We were still in the savannah region, so we did see quite a few Yellow-headed Caracaras. 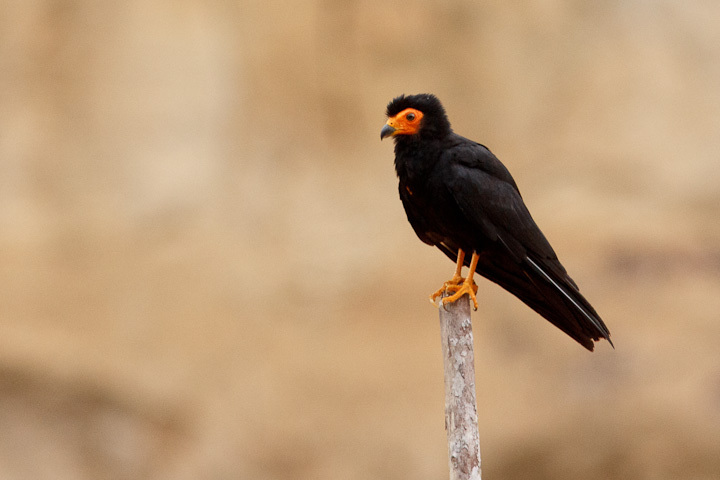 In addition, Northern Crested Caracaras were also present. 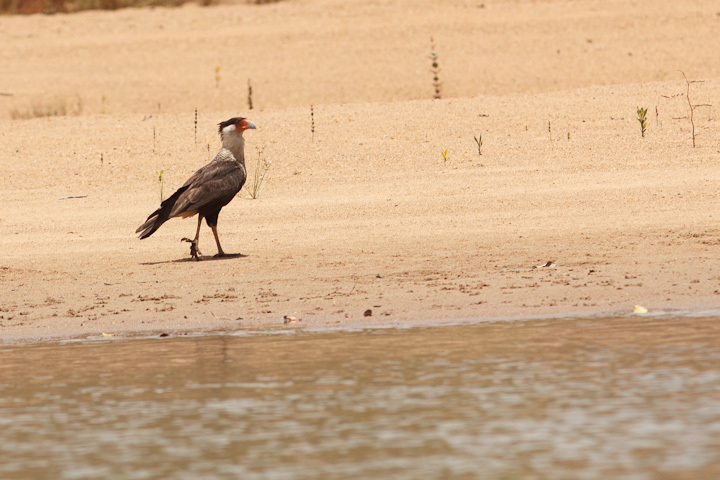 In one day, we had managed to see 1/2 of the caracara fauna of Guyana! 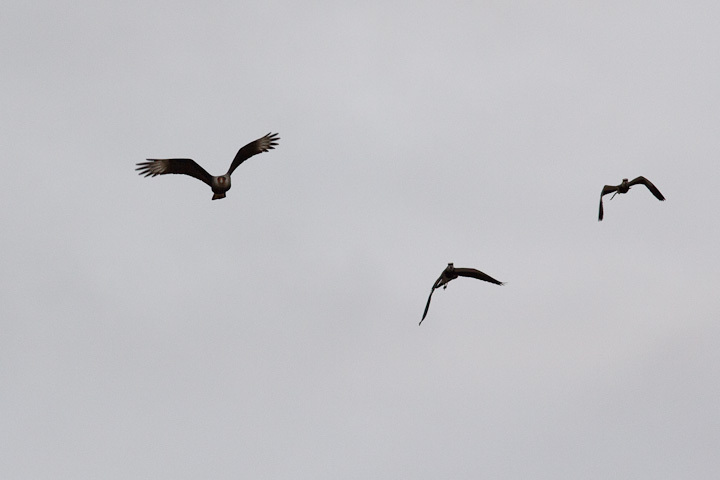 This one is being mobbed by Southern Lapwings. 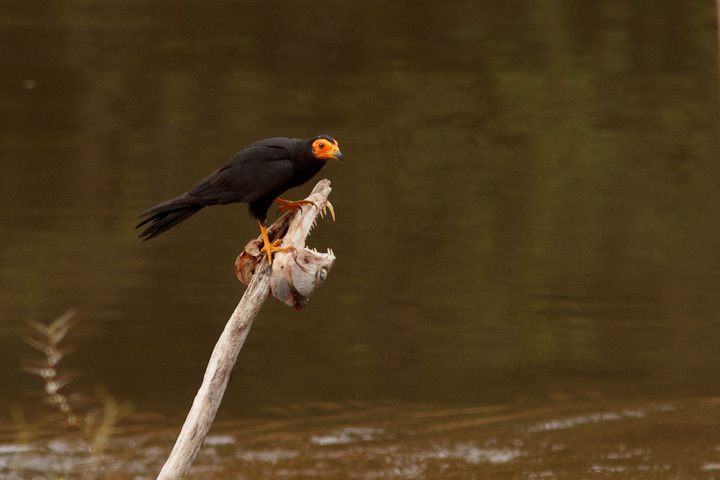 Both the Yellow-headed and Crested Caracaras are much more typical caracaras than Ibycter. They are scavengers and generalist predators, filling an almost equivalent niche that larger corvids do in other parts of the world. 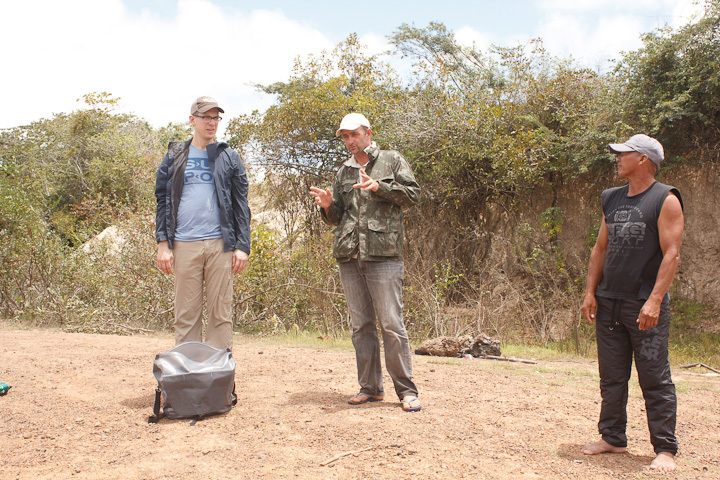 This entry was posted on April 20, 2015, in Guyana, Red-throated Caracara Research. 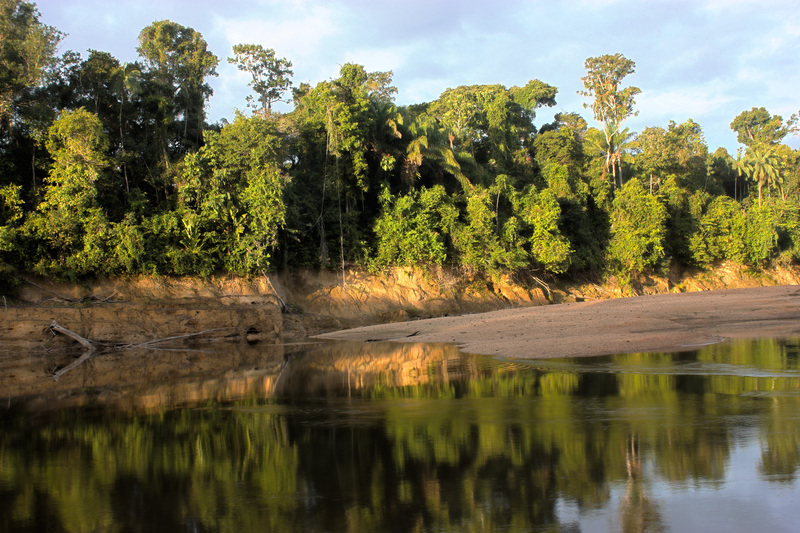 Recently, I made a long journey in South America, up the Rewa River in Guyana, in search of caracaras and other Amazonian fauna. The story of this trip takes a bit of explaining. Last year, after our abortive research mission to Honduras, Catherine and I were holed up at my mom’s in Victoria writing our respective theses. We had little occasion to go to Vancouver, but in April we both needed to go over to take care of some administrative details at the university. While sitting in the lab after managing our red tape, the phone rang. As usual, no one in the lab jumped up to get the phone, so I picked it up and found that the person on the other line was looking for me, and wondering if I wanted to talk about caracaras. 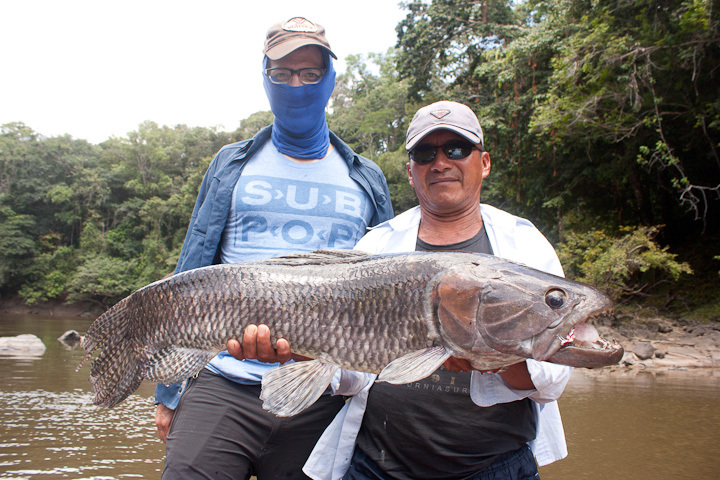 Jonathan Meiburg, looking at home far up the Rewa, in the heart of the Amazonian forest region. Well, after a good 90 minute conversation about my favourite loud birds and their relatives, I found out that the fellow I was speaking to was Jonathan Meiburg, a professional musician and a student of the biology and biogeography of striated caracaras (the fabled “Johnny Rook” of the Falkland Islands). 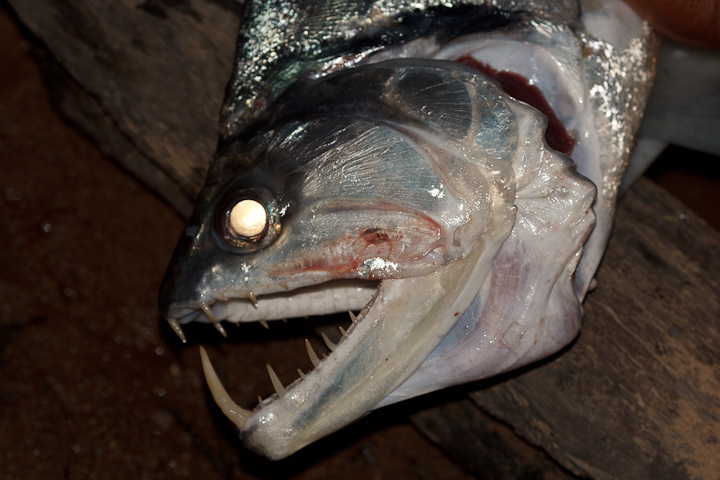 I found out that Jonathan was a great student of caracara biology, and had written a wonderful thesis on the Johnny Rook (which he should really put online…I am not kidding, it is an absolute pleasure to read!) 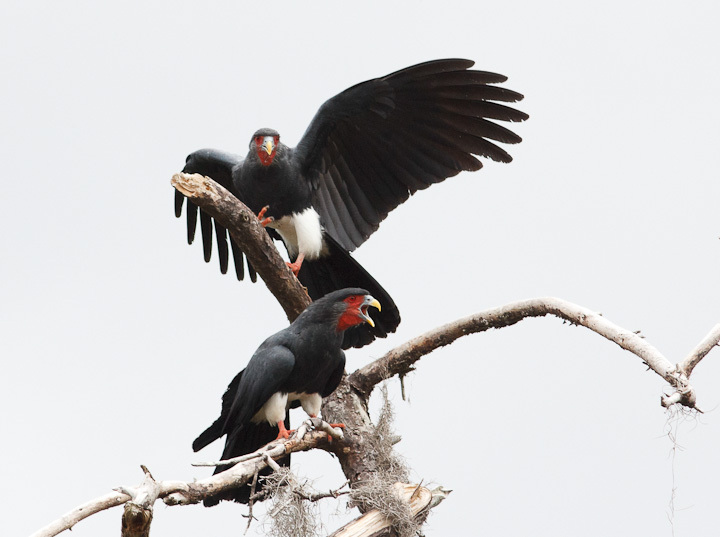 which also covered the biology and paleontology of the other caracaras. 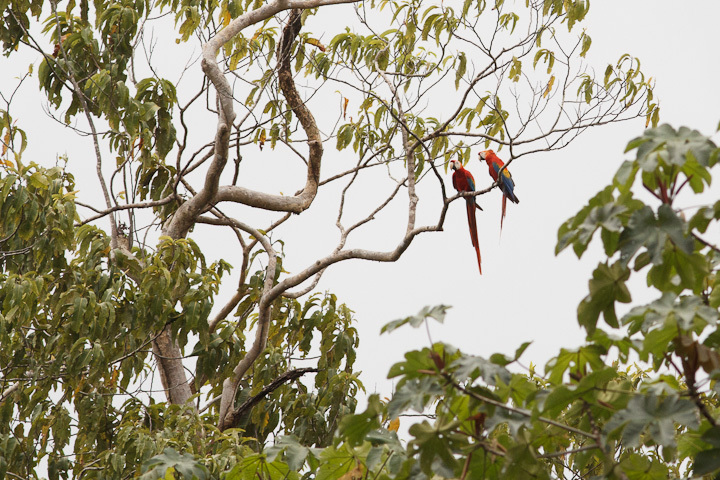 We continued to keep in touch from that time, until last fall when Jonathan invited me to accompany him on a journey to the Amazonian forest to meet the Red-throated Caracaras, which he and I agree are the oddest of a very odd group of birds. 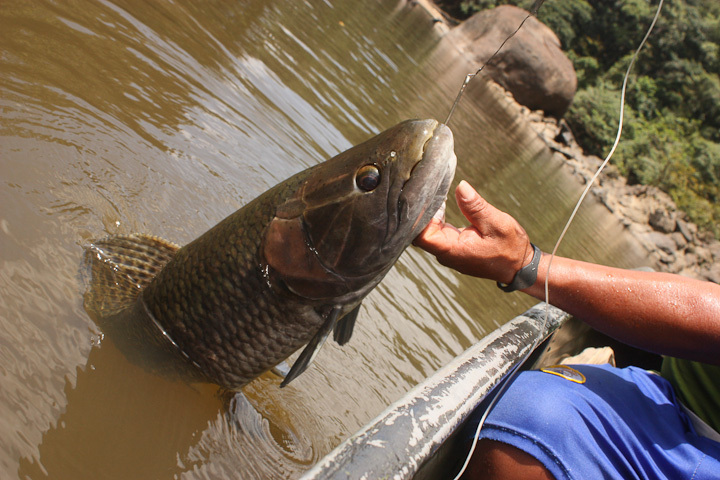 The plan was to go to the Republic of Guyana, where Jonathan had some acquaintances working, and to journey up the Rewa River to the heart of Ibycter territory: the primary rainforests of the Amazonian bioregion. 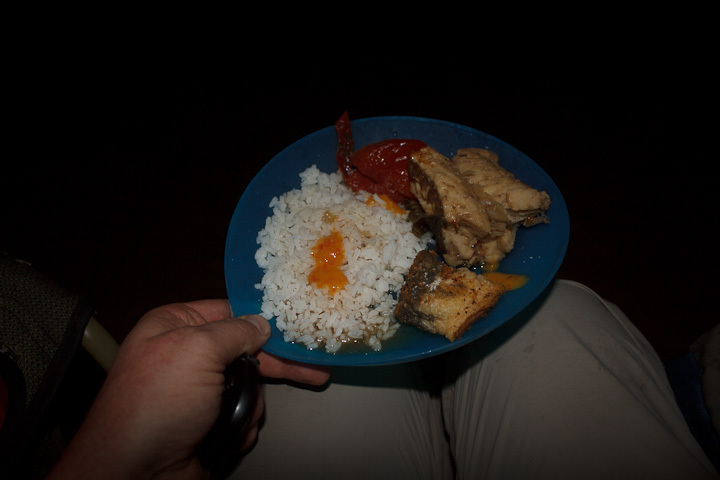 In the following posts covering the trip, I will not stick to a travelogue format, but rather will skip around, introducing the characters (human and otherwise) we met along the way. 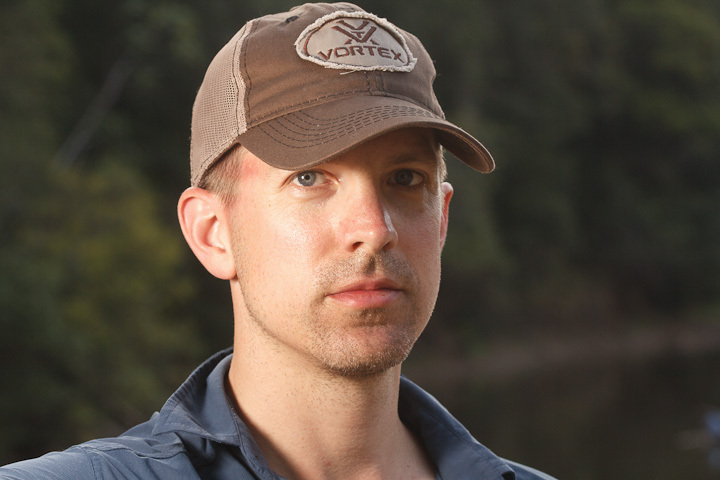 As I write this, Jonathan is still out there in the forests of Guyana, hunting for the elusive heart of Amazonia, no doubt being serenaded by the harsh screams of the Red-throated Caracaras. 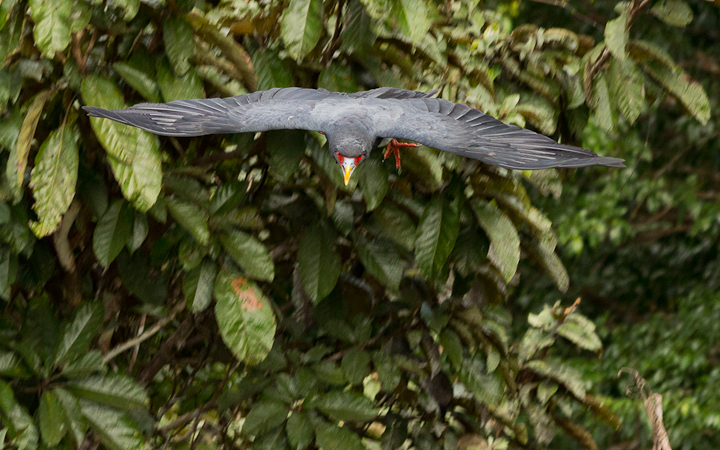 This entry was posted on April 16, 2015, in Red-throated Caracara Research and tagged caracaras, Guyana, ibycter, Jonathan Meiburg. 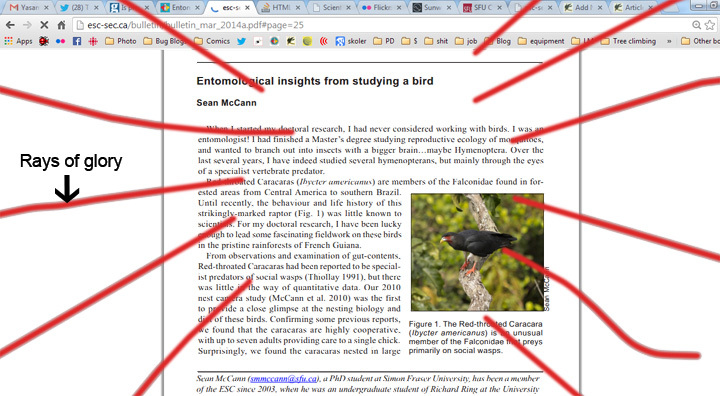 This entry was posted on March 24, 2014, in Red-throated Caracara Research. 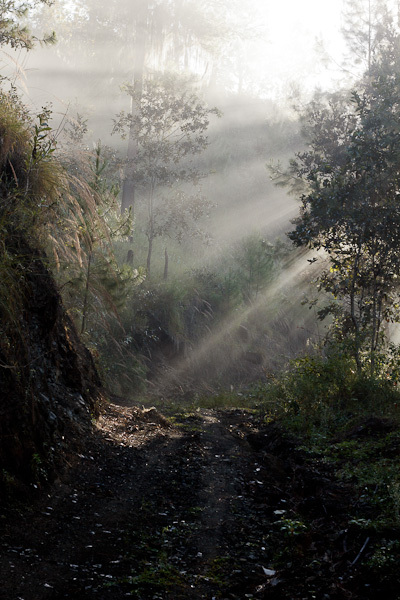 The last fieldtrip north of Gualaco to map out caracara habitats had a couple of interesting effects on our planning. The first was that Catherine injured her knee from all the walking over rough terrain, and found that last weekend she could barely walk around the apartment. This is not an ideal condition for fieldwork, and will require at least several weeks to heal. The second thing we realized is just how difficult the terrain will be for doing VHF tracking of caracaras for home range estimation. 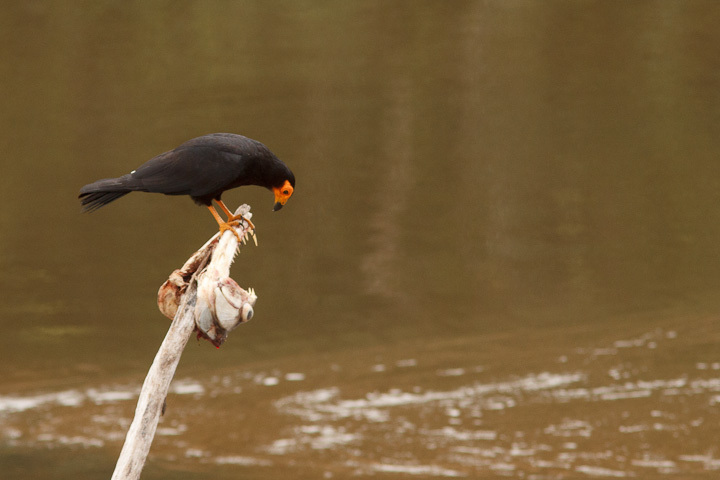 From our interviews with the local people, it would seem that the caracaras’ range is upward of 6 square kilometres at minimum, and hence our daily tracking success will depend heavily on luck rather than getting good early bearings on our tagged birds. 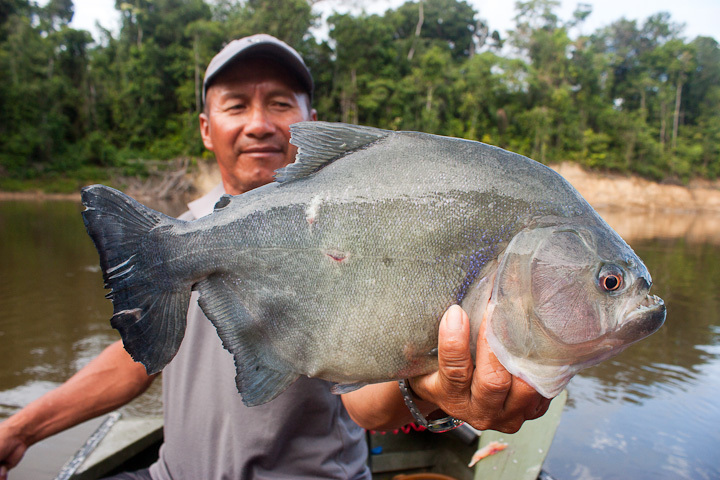 In addition, the initial capture is expected to be much more difficult, because of how long we will need to wait at a capture site before having any hope of seeing caracaras nearby. 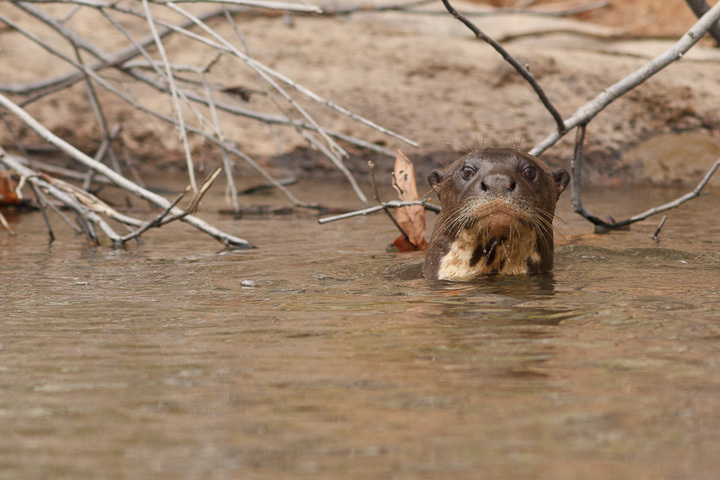 All of these factors have led us to re-plan the fieldwork, such that we will return to Canada for several weeks, and return in mid-to late March for the onset of the breeding season. This will also allow us to finish writing tasks that we have had much difficulty with here (there is no power for computing out where we work). 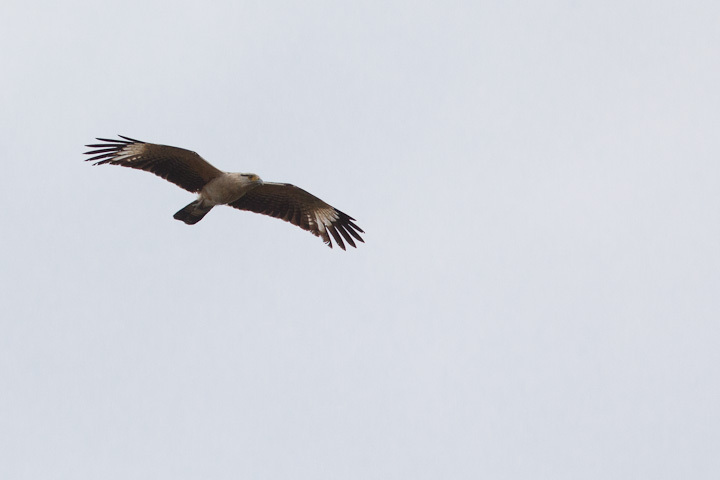 In our absence, Isidro Zuniga will continue a biweekly field program of searching out other caracara groups, and marking their locations for later attention. 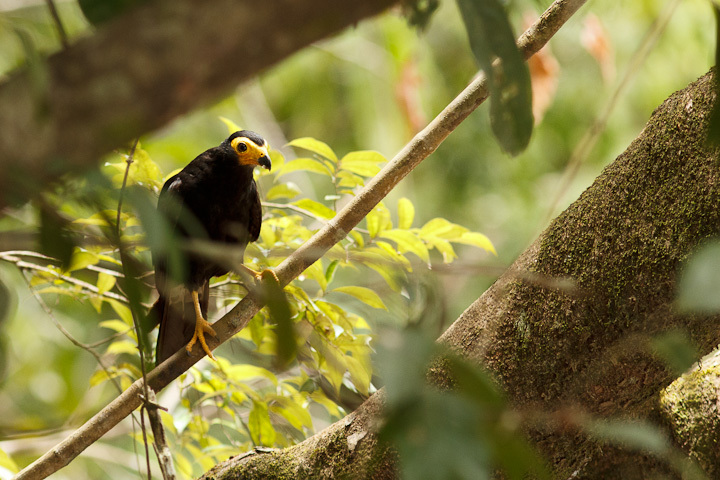 The caracaras here in Honduras are at severely reduced levels. 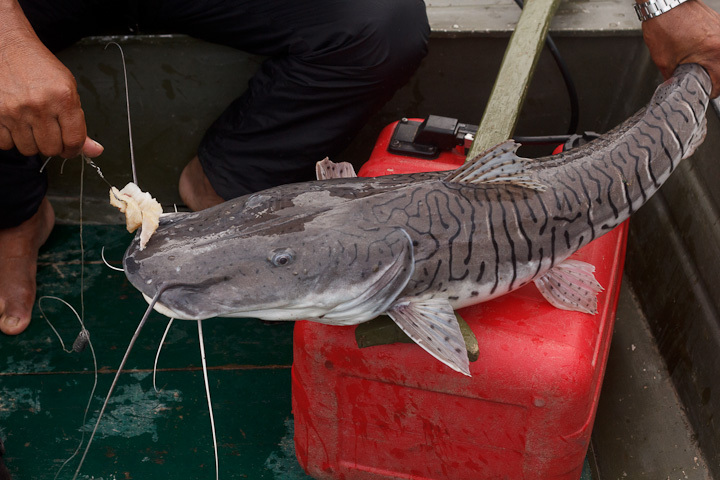 Whereas once they were very common, they are now so scarce that most people have not ever seen one. 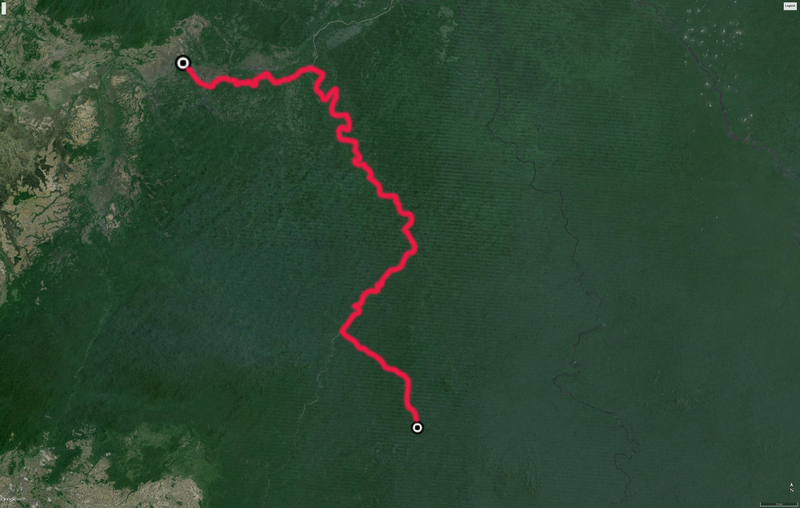 By way of example, last week we walked 54 kilometres, this week 56 km, and encountered caracaras but once. 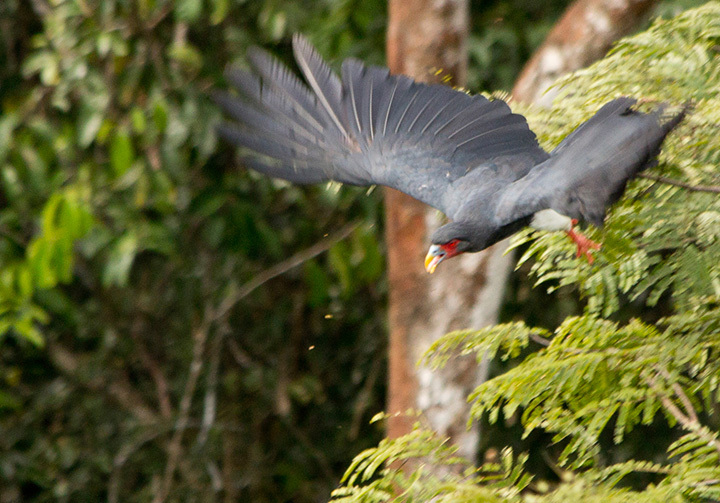 Over a similar distance in French Guiana, I would have expected to encounter caracaras 15-20 times. 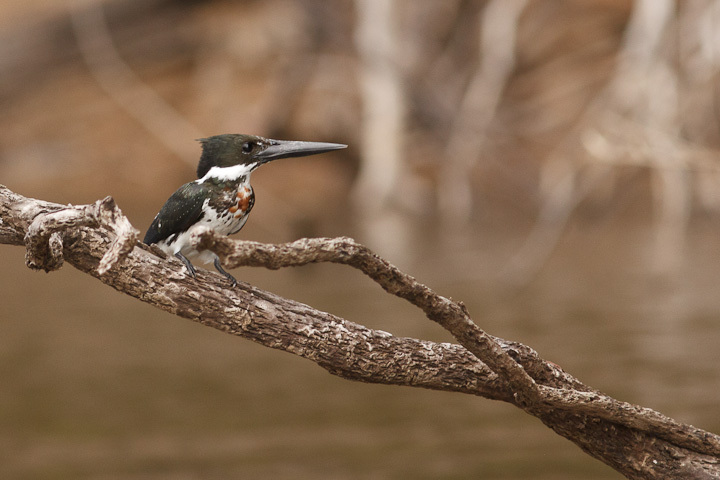 The birds here seem to have much much greater home range sizes than those in French Guiana, perhaps because they are unconstrained by the territoriality of neighbouring groups, or maybe because the density of food (social wasps) is much lower here. 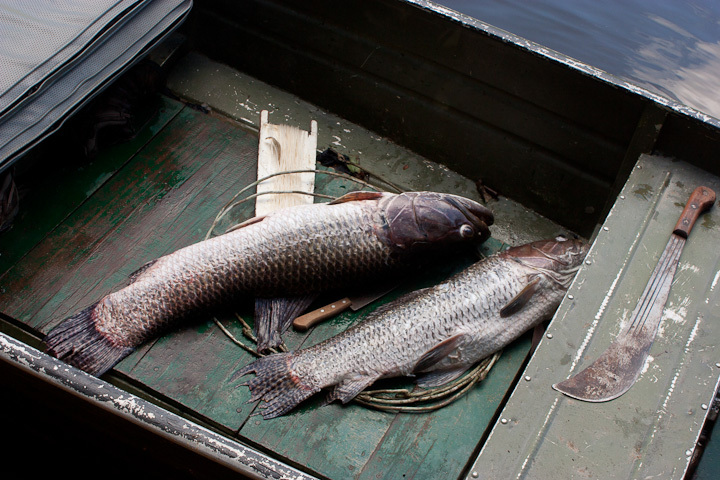 Either way, it makes for some difficult realities for fieldwork. Getting sufficient sample size for home range estimation using VHF radio tracking will be extremely difficult, if not impossible. It will certainly not take place over the optimistic schedule I had budgeted for this work. 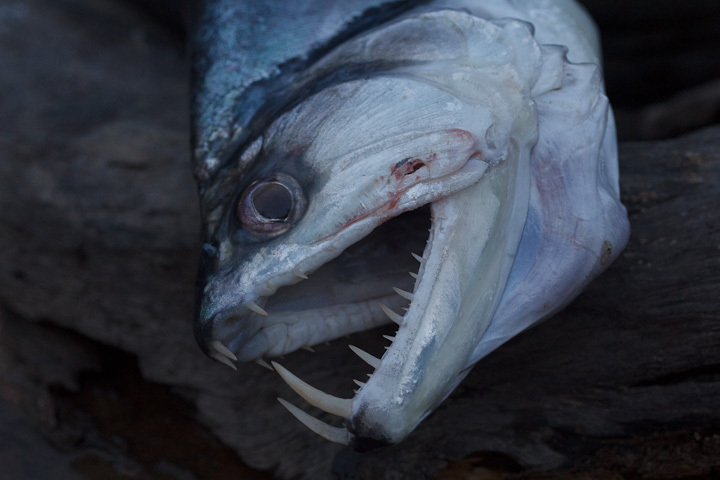 So when we return, we would like to have in place some further funding to secure an alternative tracking technology, such as GPS or satellite tags; with these at least we could be reasonably sure to get some usable data. 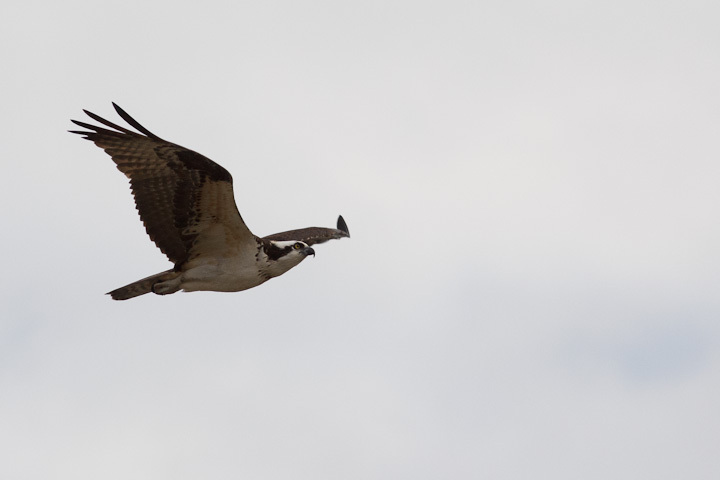 We will also focus on the nest monitoring phase of the study, assuming we can find some active nests. This is also expected to be physically demanding work, but at least with nest cameras other fieldwork can be pursued simultaneously. I will write another post about what we did see on the second field trip, but for now we must concentrate on getting ready to go. Don’t worry, this is not the end, it is only the beginning.